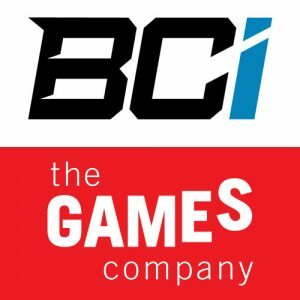 TORONTO, CANADA – December 19, 2018 – BlockChain Innovations Corp. (“BCI” or the “Company”), an international blockchain technology supplier serving the regulated gaming industry, is pleased to announce that it has acquired The Games Company (“TGC”), a popular provider of online casino games that is licensed by the United Kingdom Gambling Commission and Alderney Gambling Control Commission. BlockChain Innovations is headquartered in Las Vegas and Toronto. The company designs and develops market ready blockchain technology for public and private real-money wagering and peer-to-peer gaming companies across the globe. The company offers platform, payments, and sportsbook solutions along with leading casino content run on its proprietary blockchain technology for a provably fair gaming and a frictionless wagering environment with deposit-less wagering, instant confirmations and instant deposits for winning bets. The Games Company is an independent casino games development house founded by Hans Winkelmann and Ian Matthews, with a mission to deliver high quality gaming content. TGC is a UK company with a development team based in Portugal, creating HTML5 casino games for desktop and mobile. TGC supplies content to global casino operators and distributes via an RGS allowing for simple integrations and deployment of games.